Sustainable Saturday - How-To Green Halloween! Halloween is only a few weeks away and like many moms, I have been thinking about costumes, accessories and candy! Want to Green your Halloween, but not sure where to start? Utilize resources available that are already online such as Green Halloween (a program of Ecomom Alliance) and EWG (Environmental Working Group). 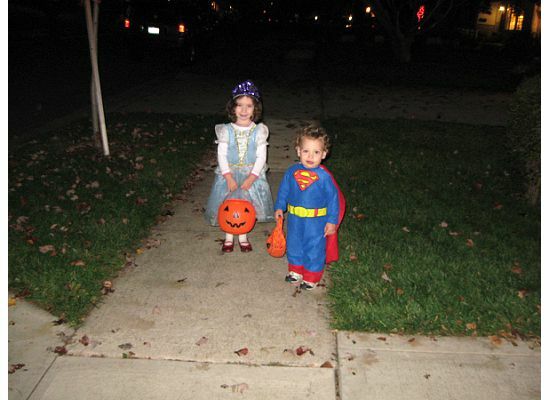 Participate in National Costume Swap Day (Today, October 9th - Nationwide). Find one in your area here. Since my original post about this National Costume Swap Day, two new swaps are happening in Cleveland, OH and Shaker Heights, OH! If your Town or City is not participating in a swap this year, consider organizing one for next year 2011! Many swaps are put on in collaboration with local green businesses and even National Retailers like Whole Foods. There are also online swaps available from websites such as thredUP! Shop for Halloween goods online from places like EcoMom.com for eco-friendly costumes, accessories, make-up and treats! Shop for Organic Candy from places like Amazon.com. Amazon.com offers Organic Candy for a reasonable price. 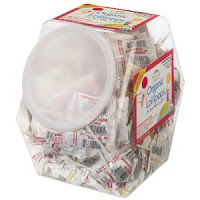 You can currently get 125 YummyEarth Organic Lollipops, Assorted Flavors for $12.63. Subscribe & Save and get an additional 15% off! Welcome to Saving Family Green! I am a Mommy to 2 teenie weenie greenies and wife to a Treehugger. Over the years we have learned by trial and error what works for us in our quest to be green. We hope we can inspire you to be a little more "Green"! Wholly Guacamole - FREE at Kroger & Rebate Offer! Earth's Best Potty Pants Have Arrived! Burt's Bees Grab Bags for $20! - SOLD OUT! Copyright Saving Family Green 2008-2011. Design By EZwpthemes . Blogger Template by Anshul .